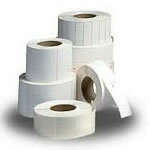 Below are listed our popular consumables for use with our EPoS system printers and credit card terminals. 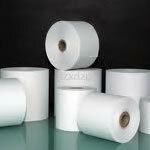 Box of 20 white thermal paper rolls, 80mm width x 80mm diameter. Box of 20 white thermal paper rolls, 57mm width x 57mm diameter. Box of 20 white thermal paper rolls, 57mm width x 40mm diameter. Box of 20 white 1-ply paper rolls, 76mm width x 76mm diameter. Box of 20 white 2-ply paper rolls, 76mm width x 76mm diameter. 38mm width by 25mm depth label rolls. 57mm width by 51mm depth label rolls. 102mm width by 38mm depth label rolls. Suited to supermarket shelf edge label printing. 56mm width by 13mm depth label rolls. 500 x A4 sheets of Shelf Edge Labels for retail supermarket shelf labels (non-adhesive). 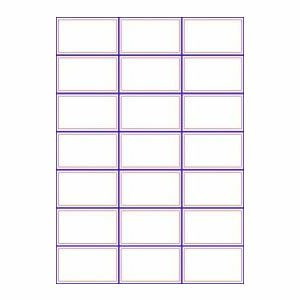 21 perforated blank labels per sheet. Each label is 70mm x 37mm. Blue/red printed border. Design and print your own shelf edge labels using your Windows PC or Laptop computer and A4 printer. Pack includes template document in MS-Word format. You can insert your logo, product description, barcode, price and any other text/graphic content onto each label. All prices are stated excluding VAT and delivery.